Nothing is worse than having your movement restricted by too many bulky layers on a cold day. So in days when the winds are whipping but you still need to be comfortable and loose, nothing is better than a puff vest. By keeping your core warm, you'll keep blood flowing in your arms, too. And because it has minimal bulk despite its 550-fill power goose down insulation, you'll feel limber and agile, not restricted. 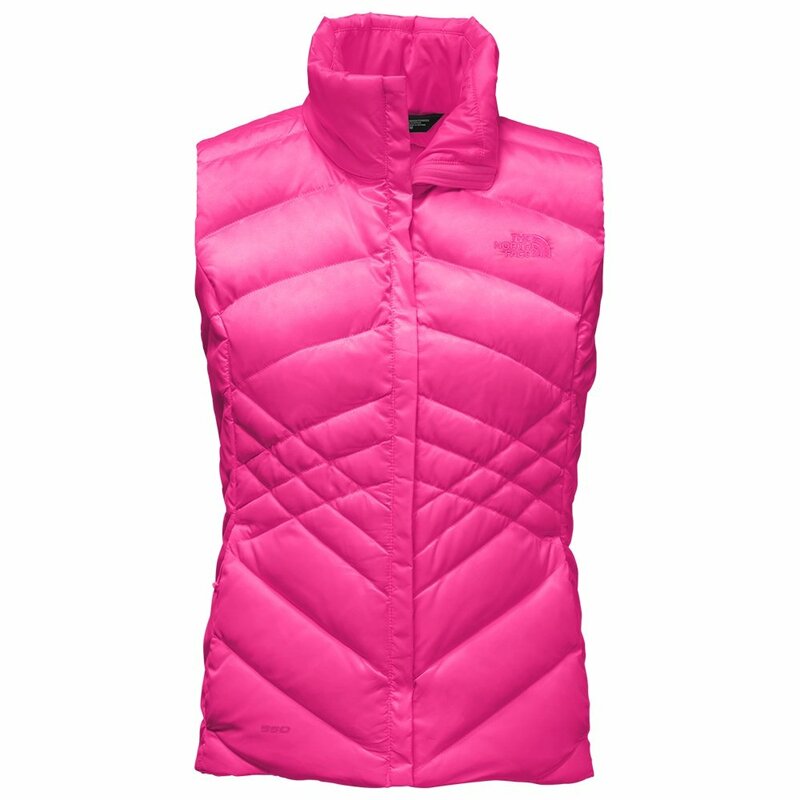 This versatile down vest has slim side panels, a soft collar, and two zippered handwarmer pockets. Overall I think the vest fits true to size and is the perfect combination of athletic and "classy." I have received numerous compliments and wear it all the time! The cut and stitching is slimming and its the perfect temperature. I would definitely recommend this vest! I purchased this vest for my birthday. I love the look, the quality of material, and the weight is perfect without being too puffy. Perfect for transitional weather in Upstate NY. However, the picture of the black is a little deceiving. It is SO shiny that I feel like I'm back in the 80's, I can practically see my reflection - definitely not the look I want. I had to return it because I need something less eye catching, and just a normal black color. Sorry! I wish they had more colors available! Love it!!! I wish they had more colors available! I got it in black, but I want one in every single color! I'm 5'1, 100 lbs and the xs fits really well. This is my first north face vest and I'm so glad I got it for such a great deal. The vest is not too puffy and is quite warm and comfortable. Can't wait to wear it during colder weather. I have other coats/vests from northface and always wear a size small...... it was huge so I exchanged for the xs, I kept it but it was a bit too short and pretty snug so the size is substantial from the small to the xs, they need to size control a little better imo. I got this on sale so i'm not too concerned. Great vest. I would buy again. Very good layering piece. Great construction and light to carry. I am glad to have it and will wear it for years. This is a great vest. The pattern is somewhat unique. I owned it in grey and was so excited to get black. Great fit, very stylish, and warm. Really like this vest! It comfortable without being bulky. I definitely consider it mandatory for spring & fall! Love there vests and how they fit!!! Stylish fit without being too snug. Got the black on sale and have worn it constantly since I got it. I got caught in the rain the second day I wore it and it dried quickly, which was a nice bonus. Purchased for my grandma and she loves it. Perfect for our Atlanta weather! This was a birthday gift to myself. I have needed a black puffy vest for awhile. This one is PERFECT!! You can wear it with short sleeves or long sleeves and keeps you warm on these breezy Atlanta days. I LOVE IT!! It's a good standard black vest. The material is nice, and it's comfortable.